Capt. Eugene Cernan, the last NASA astronaut to leave his boot prints on the moon, says we must go back — and beyond. At age 81, Capt. 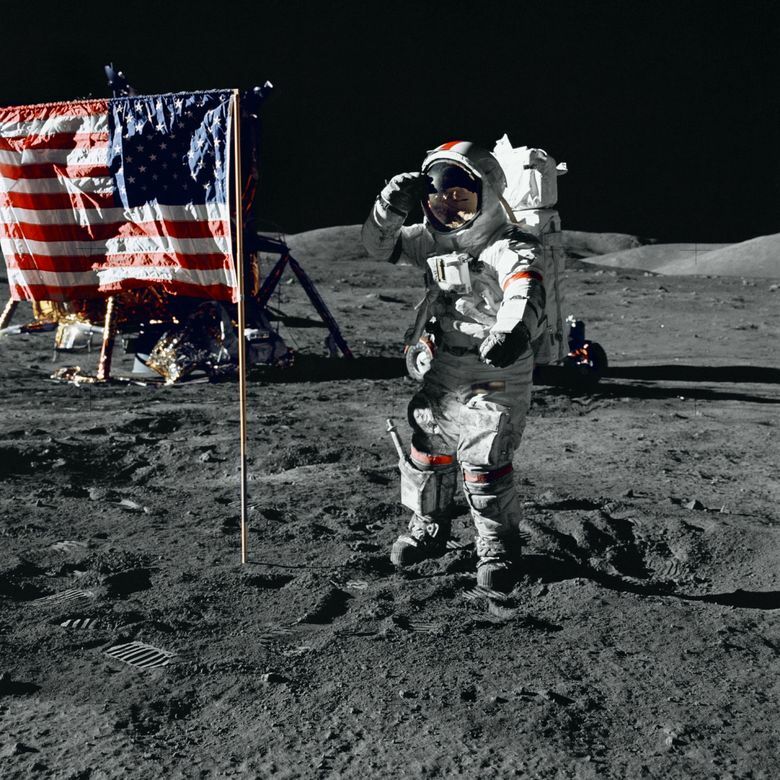 Eugene Cernan is, in a sense, the living embodiment of the U.S. space program. Recruited by NASA in 1963, he voyaged into space three times: aboard Gemini 9A in 1966, on Apollo 10 in 1969 and for the final time in 1972, aboard Apollo 17. On that mission, he became the last man to leave his boot prints on the moon — so far. That flight is memorialized in the documentary “The Last Man on the Moon,” which opens at the Sundance Cinemas in Seattle on Friday. What’s needed, he thinks, is an inspirational leader to motivate young people to take up that challenge. President John F. Kennedy — who went before Congress in 1961 to say “this nation should commit itself to achieving the goal, before this decade is out, of landing a man on the moon and returning him safely” — was such a figure. 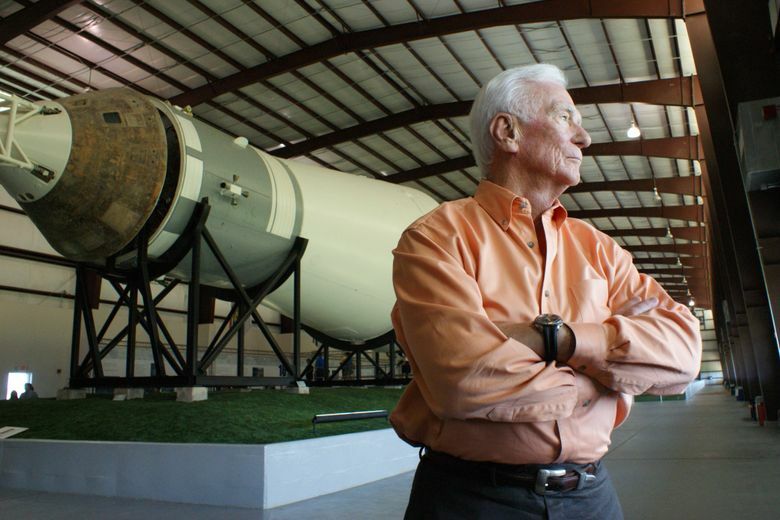 Cernan said his goal is to “get the kids off those games they’re playing and put that bright mind of theirs to do something significant in their generation.” These days, he travels around the country speaking about the importance of manned spaceflight. Kennedy issued his challenge at the height of the Cold War, when the race into space was a contest with the Soviet Union for technological and political superiority. Once the U.S. beat the Russians to the moon in 1969, the impetus to continue quickly faded. After Cernan’s 1972 mission, the Apollo moon-landing program was discontinued. Now, with the space-shuttle program also discontinued and the U.S. working with Russia to carry American astronauts to the International Space Station atop Russian rockets, manned missions to the moon and Mars seem indefinitely on hold — at least for the U.S. “Kennedy would be rolling over in his grave,” Cernan said. Other nations — primarily China, but also India — are developing their own space capabilities. It’s possible, Cernan believes, that the next human to set foot on the moon could be speaking Chinese. But Cernan is certain that some day a manned mission to Mars will be launched — and that when it is, no single nation will be launching it.